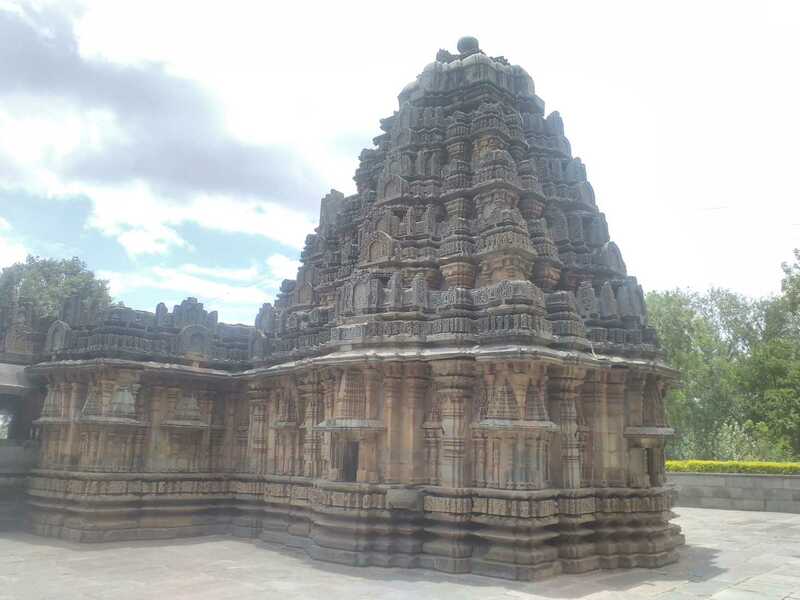 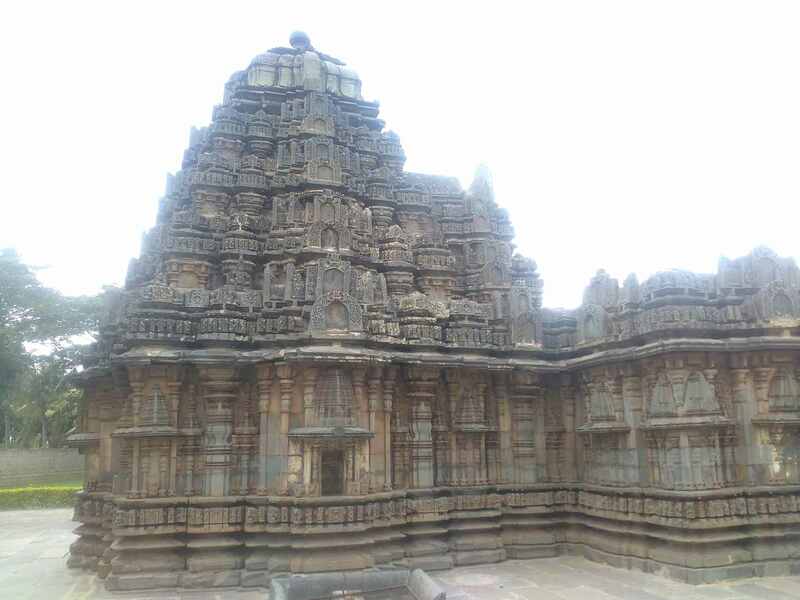 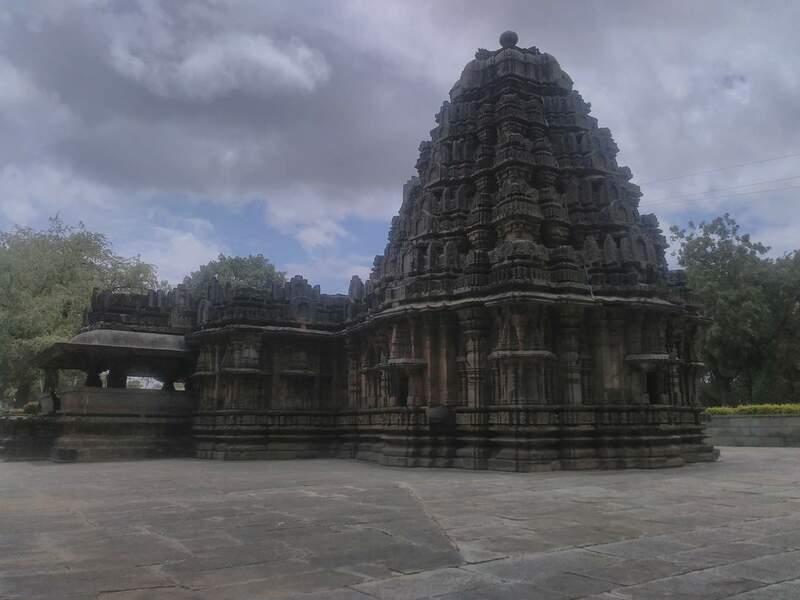 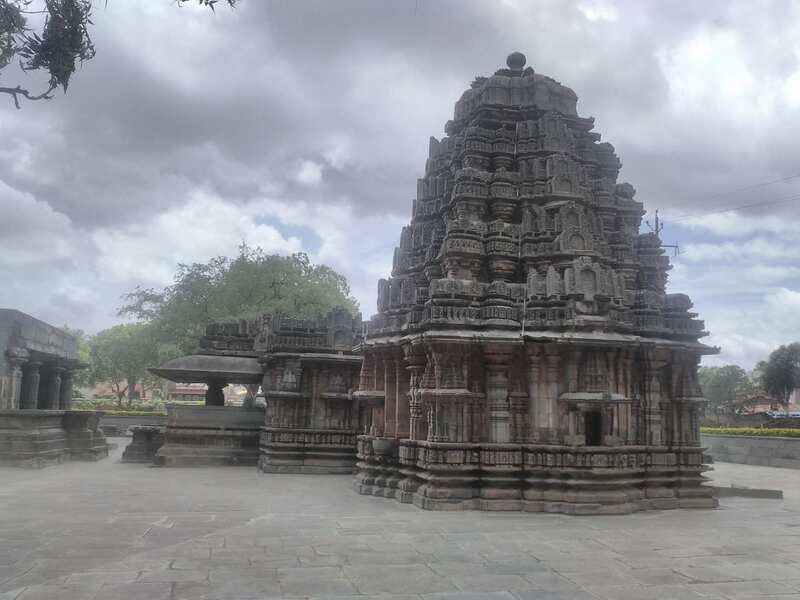 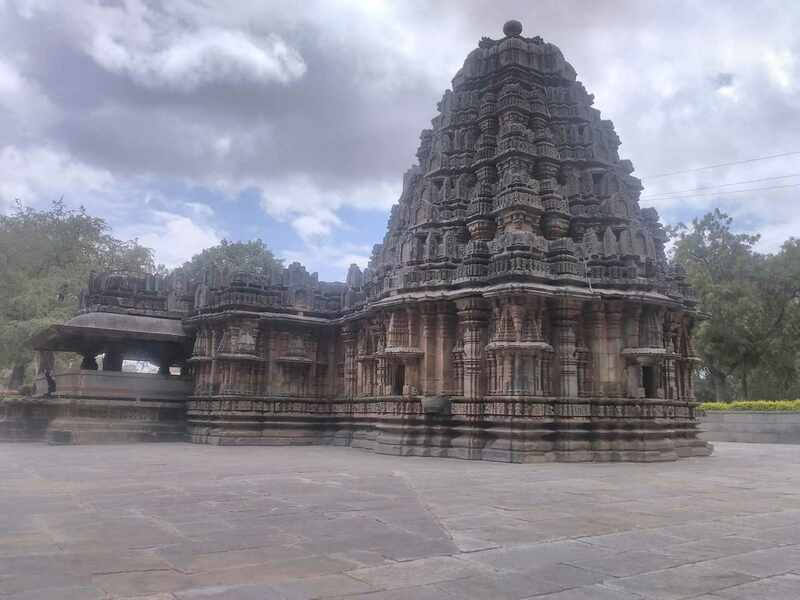 The mantapa (hall) in the temple contains sculptures of Uma Mahesvara (Shiva with his consort Uma), Vishnu and his consort Lakshmi, the Sun God Surya, Nāga-Nagini (the male and female snake goddess), Ganapati and Kartikeya, the sons of Shiva. 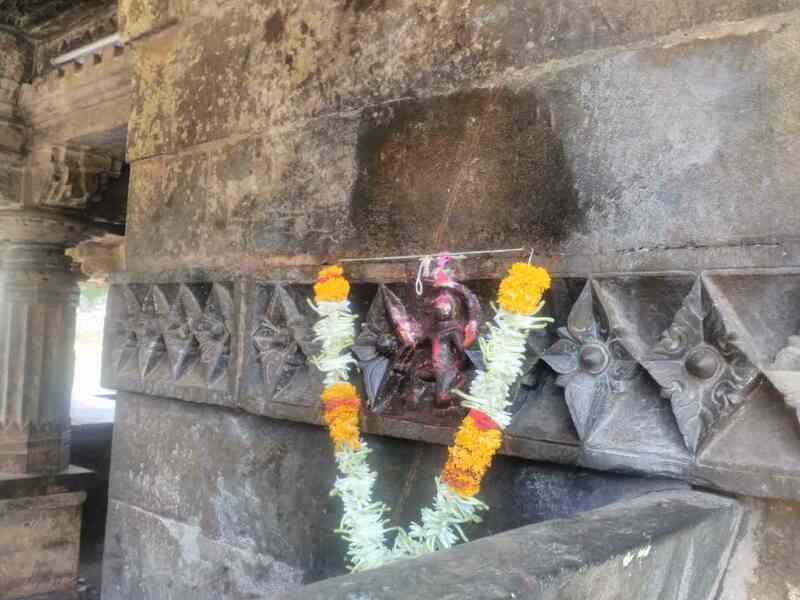 Shiva is depicted with four arms, holding his attributes: the damaru (drum), the aksamala (chain of beads) and the trishul (trident) in three arms. 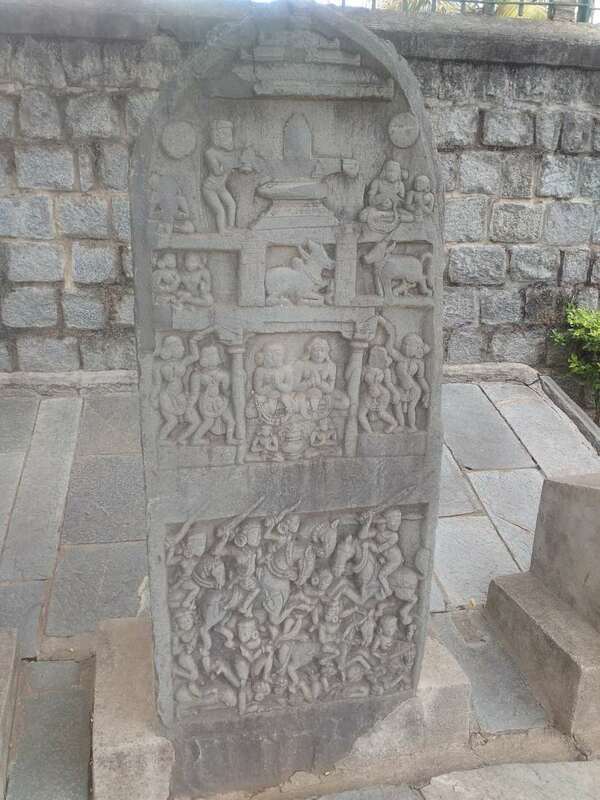 His lower left arm rests on Uma, who is seated on Shiva’s lap, embracing him with her right arm while gazing into his face. 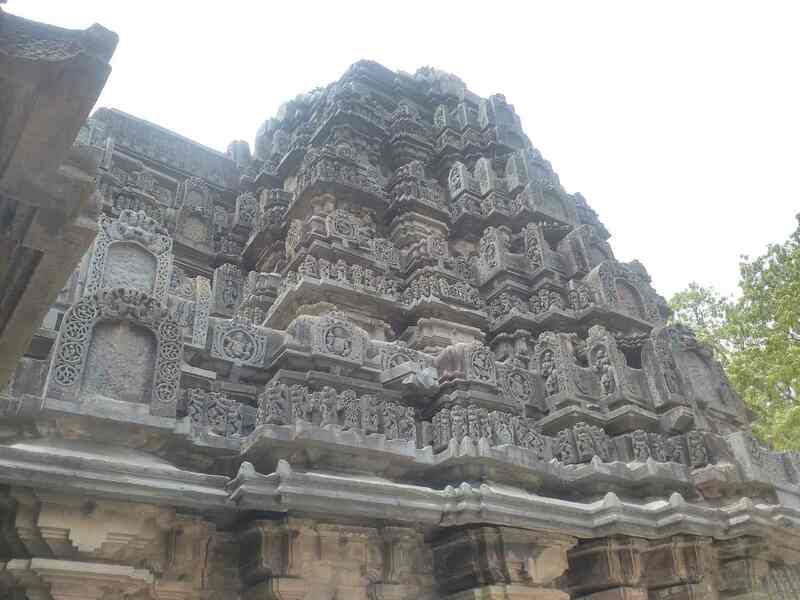 The sculpture of Uma is well decorated with garlands, large earrings and curly hair. 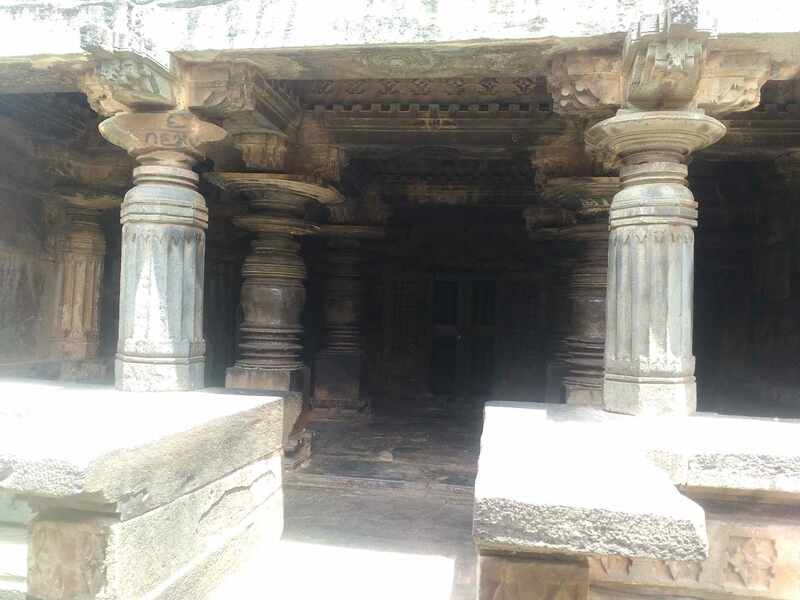 The Naga and Nagini, with their tails intertwined, appear on the side of the door to the vestibule (antechamber) along with an image of Parvati. 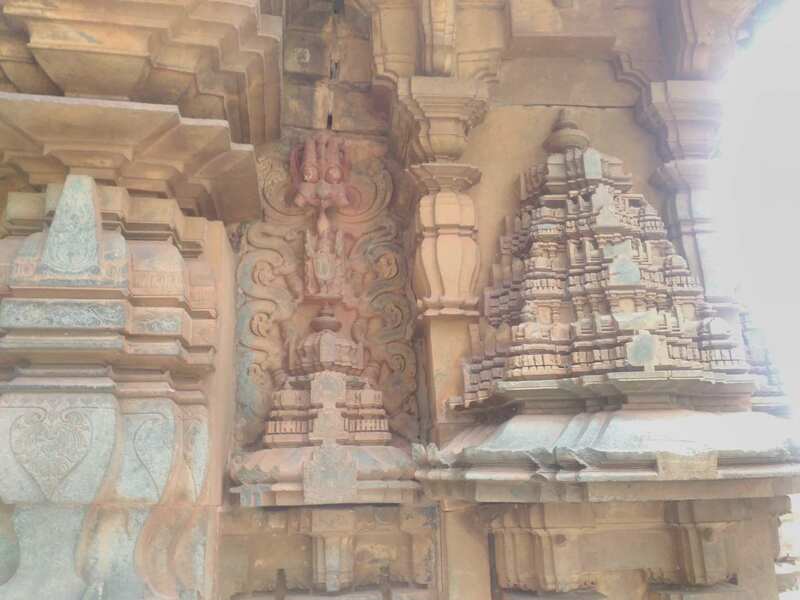 A niche depicts a curious male figure with six hands, the two lower hands each hold a linga (the symbol of Shiva) and the middle left hand holds a chakra (wheel). 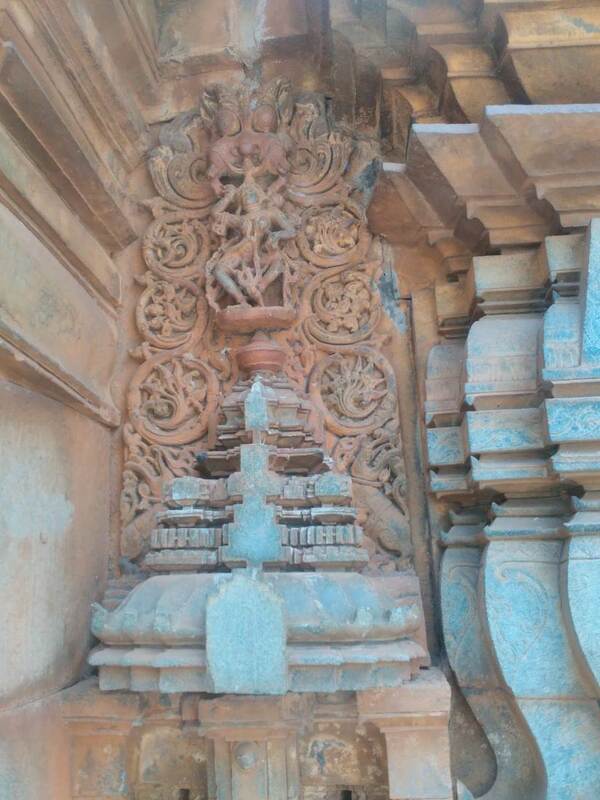 The architrave above the vestibule entrance bears images of Brahma, Shiva and Vishnu, with Shiva in the centre. 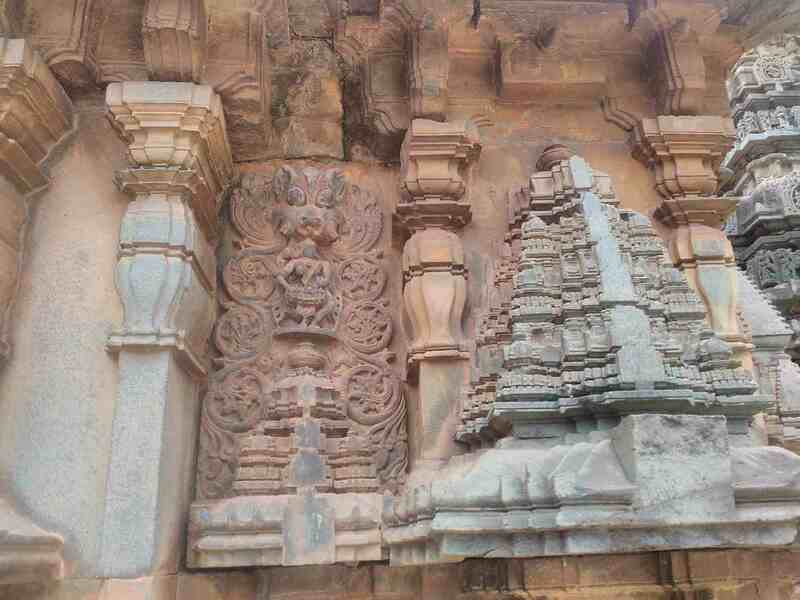 Ganapati and Kartikeya flank Brahma and Vishnu. 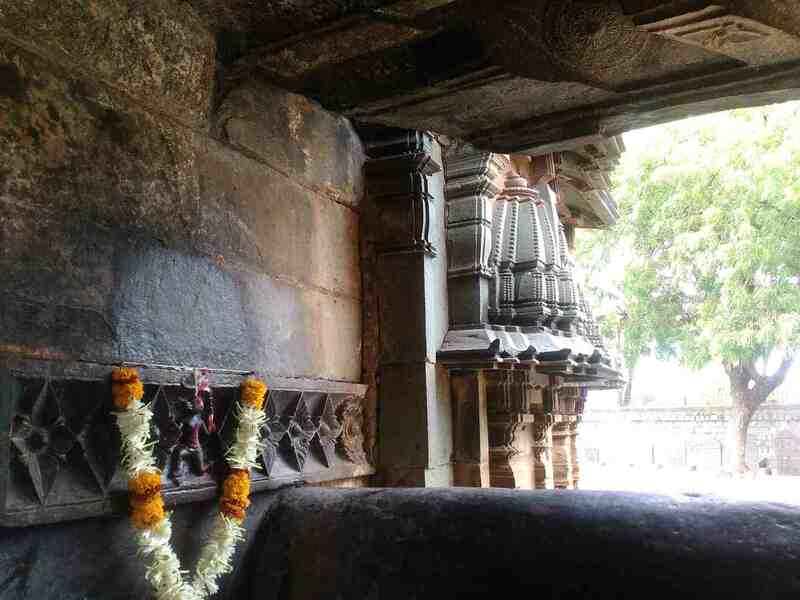 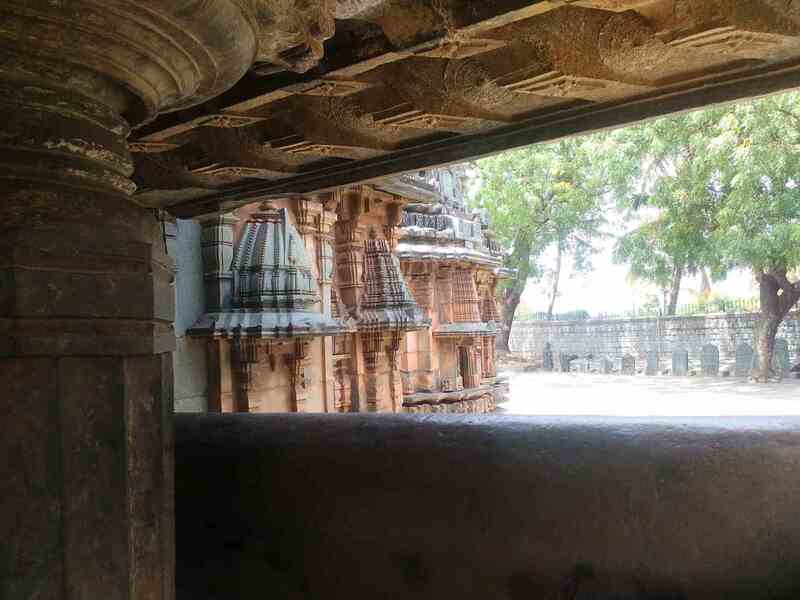 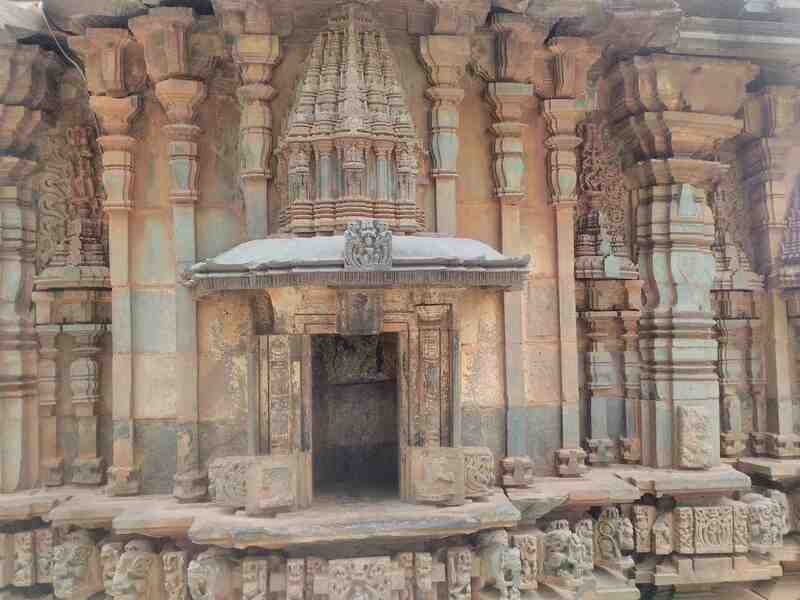 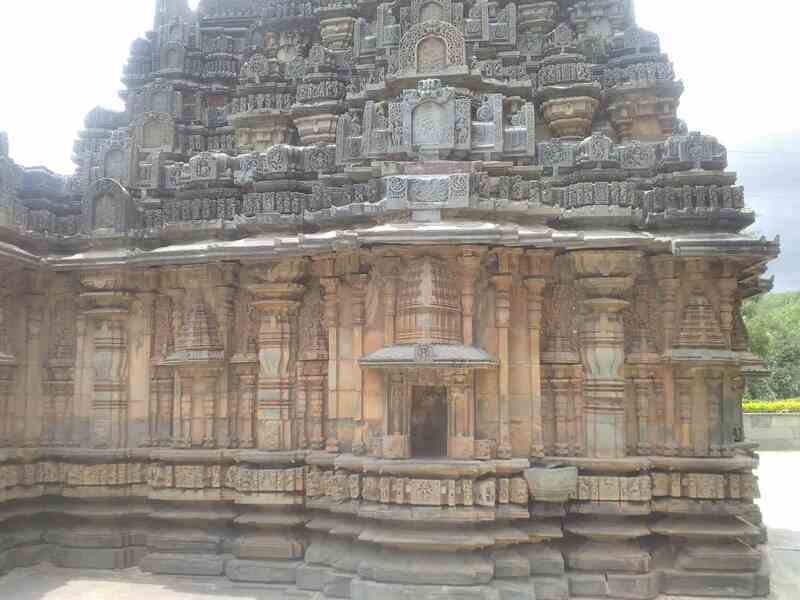 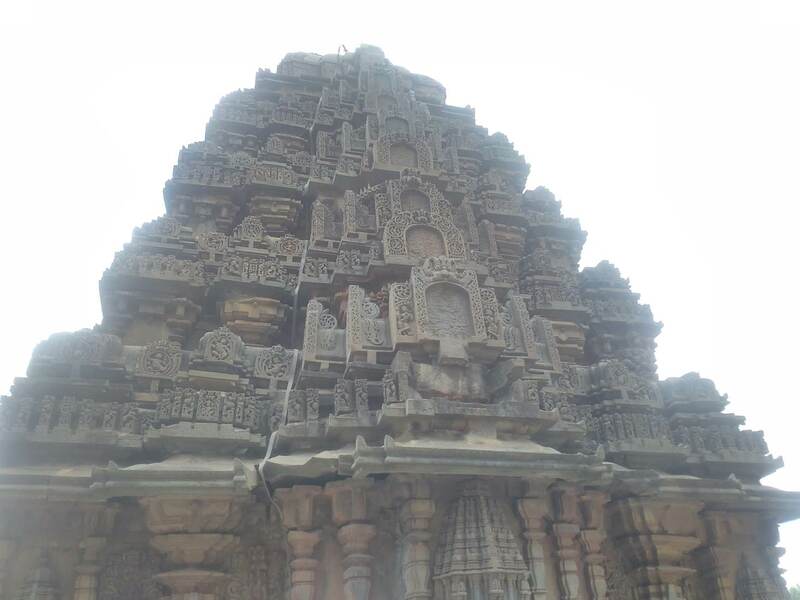 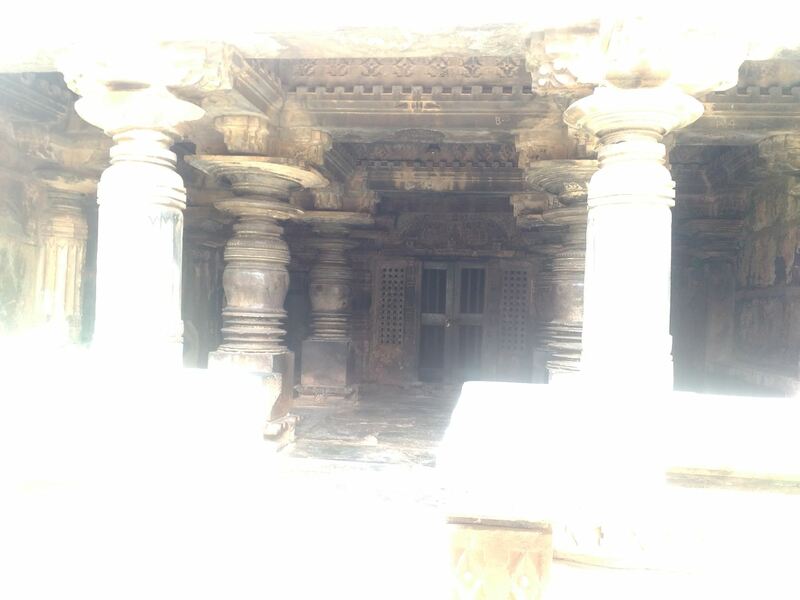 On either side of the doorway is a perforated stone worked window, and the main shrine (garbhagriha or cella) has a plain linga (the symbol of Shiva). 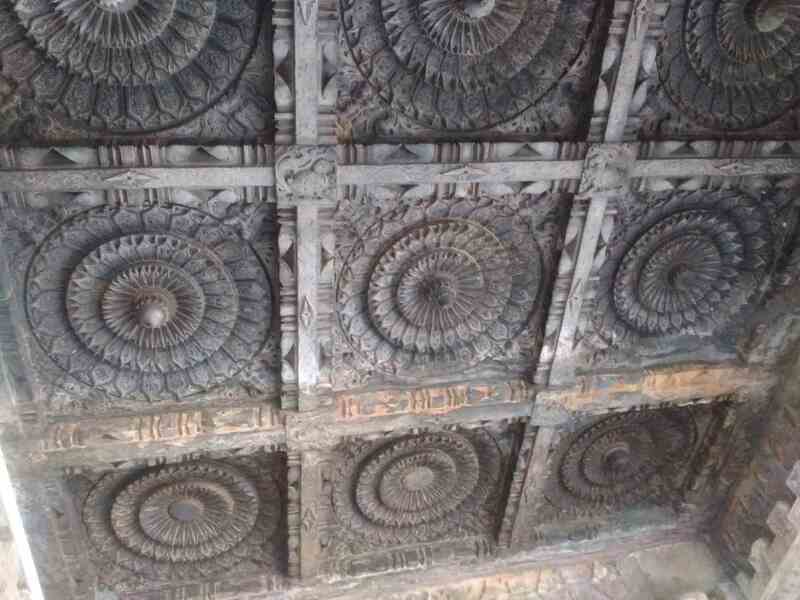 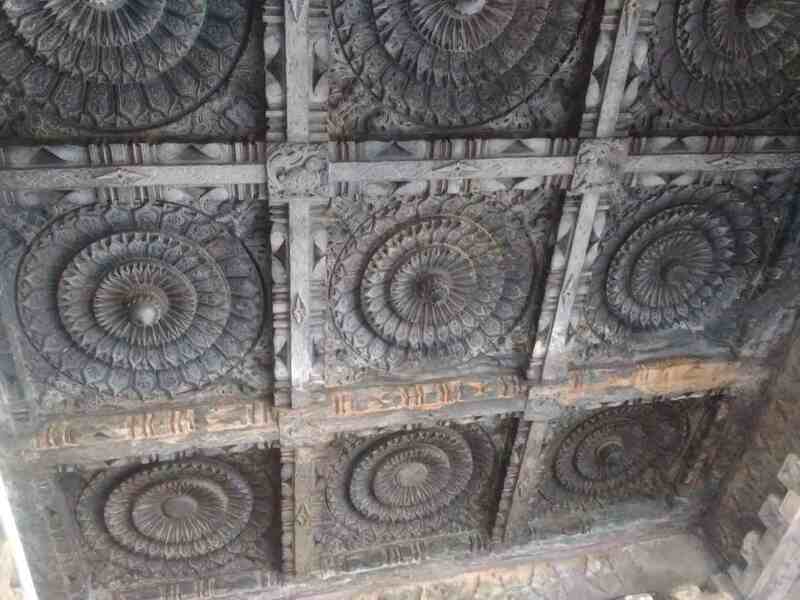 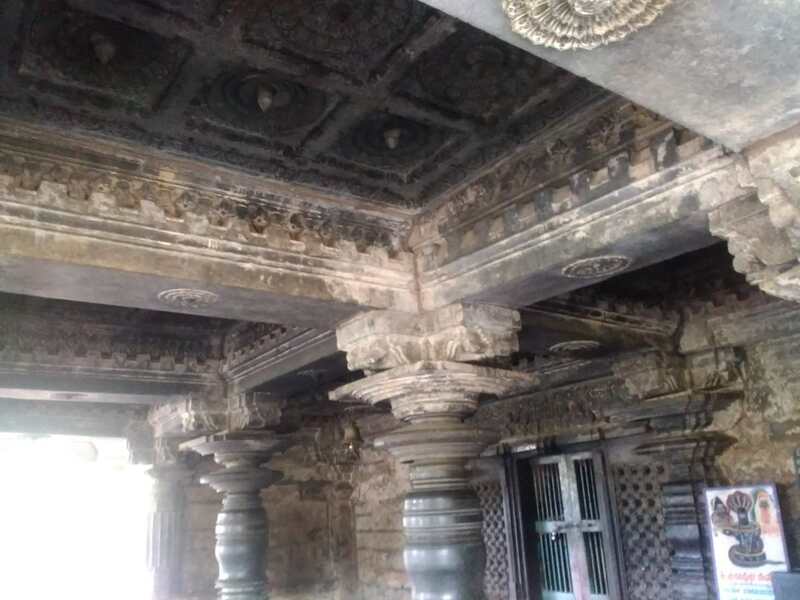 Some ceiling panels contain images of the saptamatrika (“seven mothers”) while a square column contains images of the ashtadikpalas (“eight guardians”) along with the Hindu trimurthy (“three forms”) and Surya. 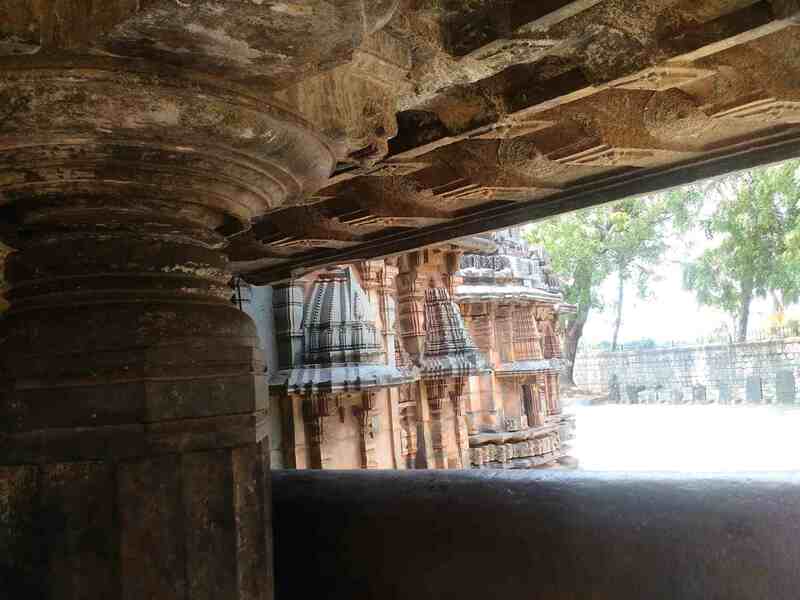 The saptamatrikas are also carved into the wall of a step well outside. 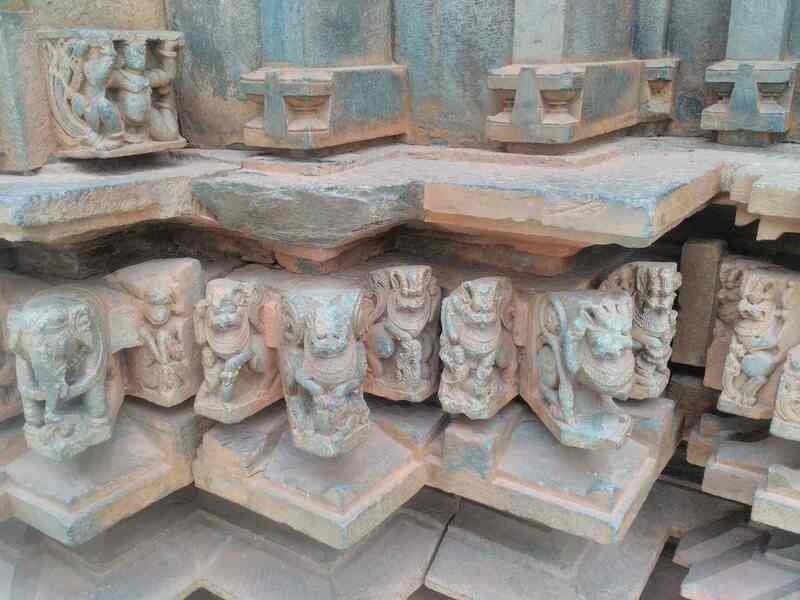 The saptamatrika sculptures on friezes has the female deities, generally each with a child on the lap to denote motherhood and are identified by the vahana (vehicle) of their male counterpart, found under them. 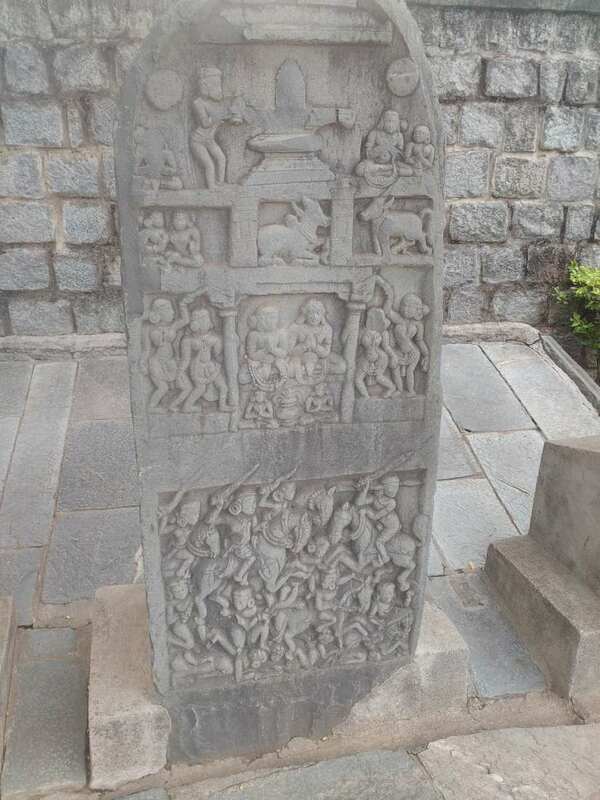 At one end of the frieze is Shiva and at the other is Ganapati. 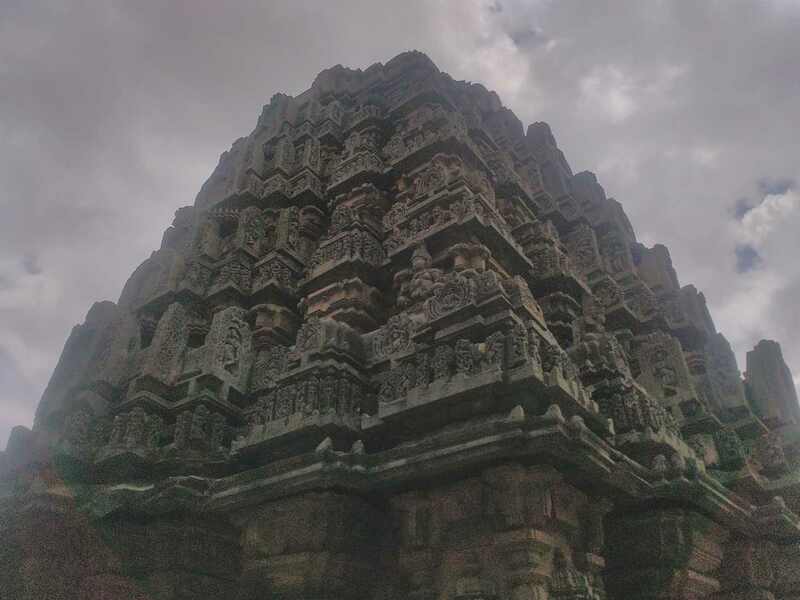 Next to Shiva are the Matrika (“mother”) goddessses: Brahmi (or Brahmani), Brahma’s consort, with a goose; Maheshvari, the consort of Shiva has a Nandi (bull); Vaishnavi, the consort of Vishnu has a Garuda (eagle); Kaumari, the consort of Kartikeya has a peacock; Varahi, the consort of Varaha, has a buffalo (instead of a boar); Indrani, the consort of Indra, has an elephant; and the last “mother” could be a skeletal image of Chamunda with a dog or could be a dead body. 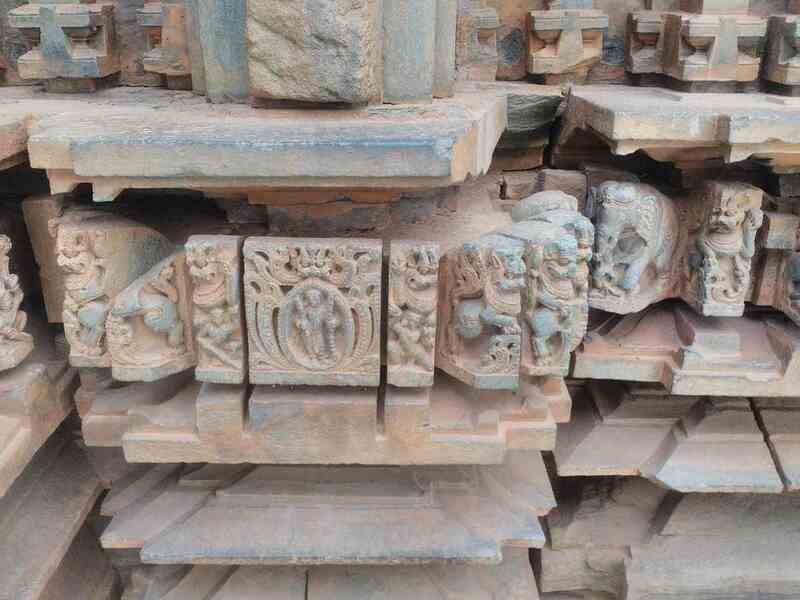 Other loose sculptures in niches worthy of mention are those of Surya canopied by a seven hooded snake, and the Mahishasuramardini (a form of Durga). 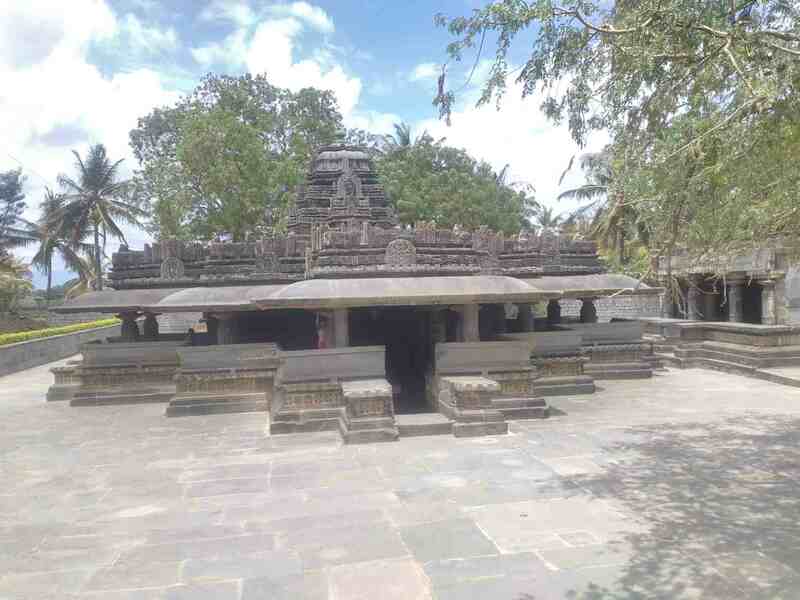 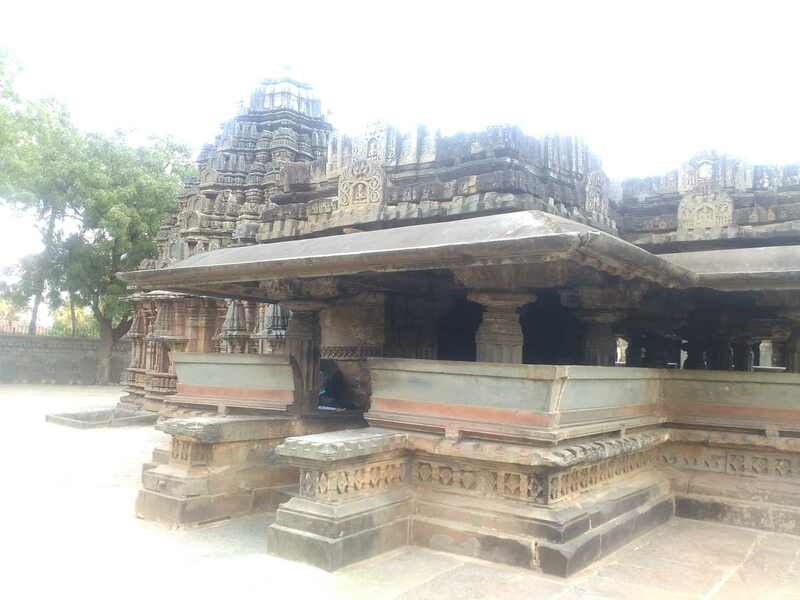 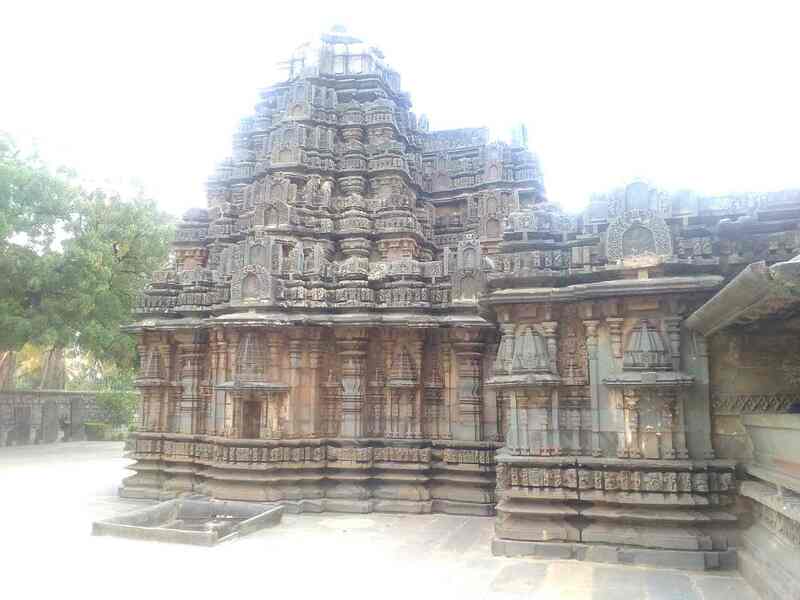 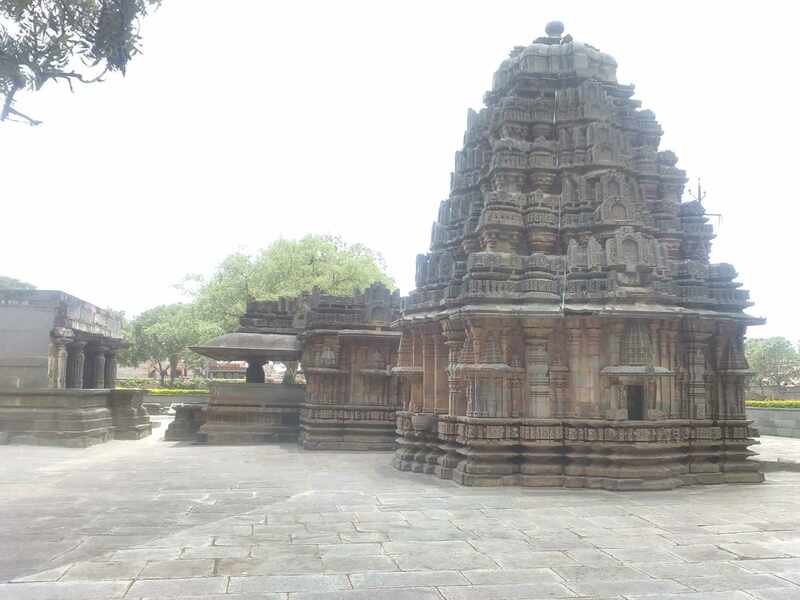 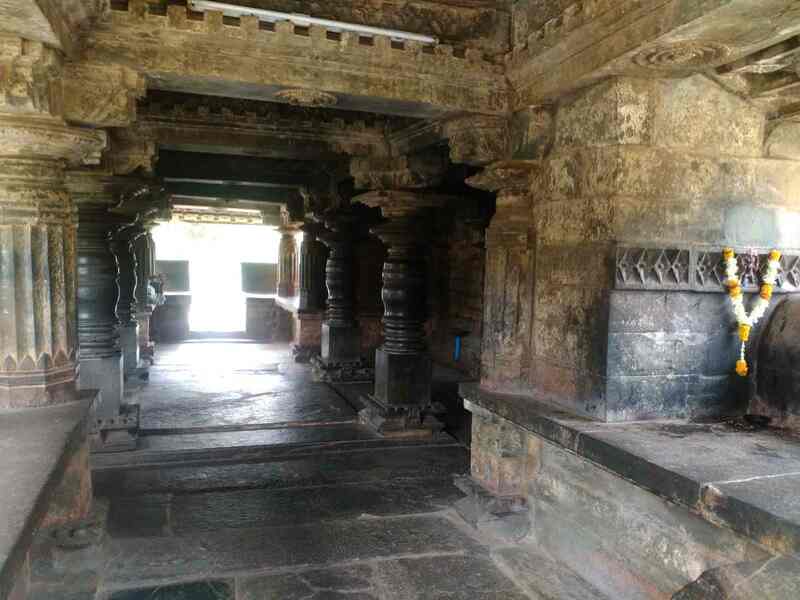 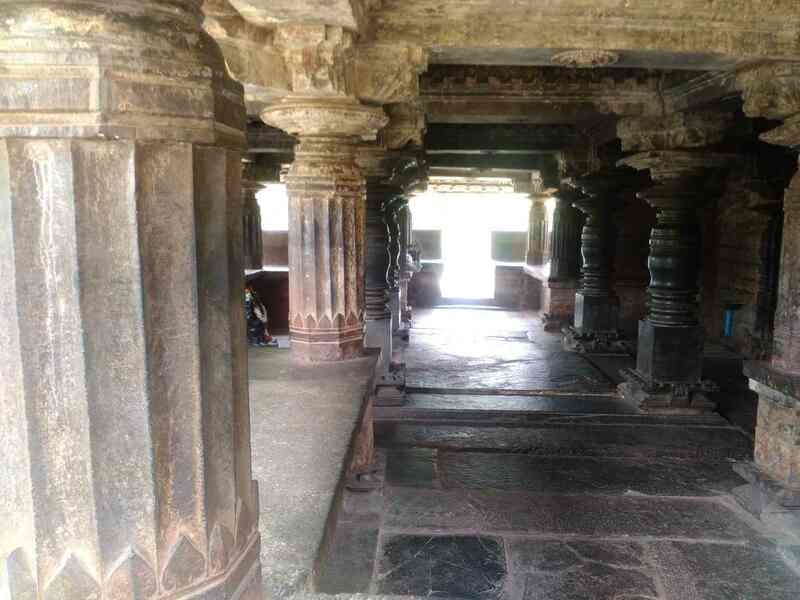 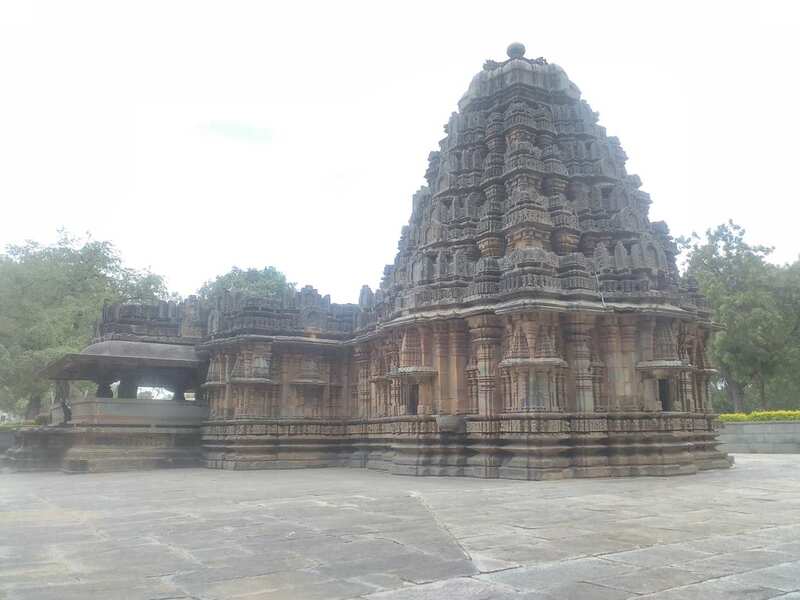 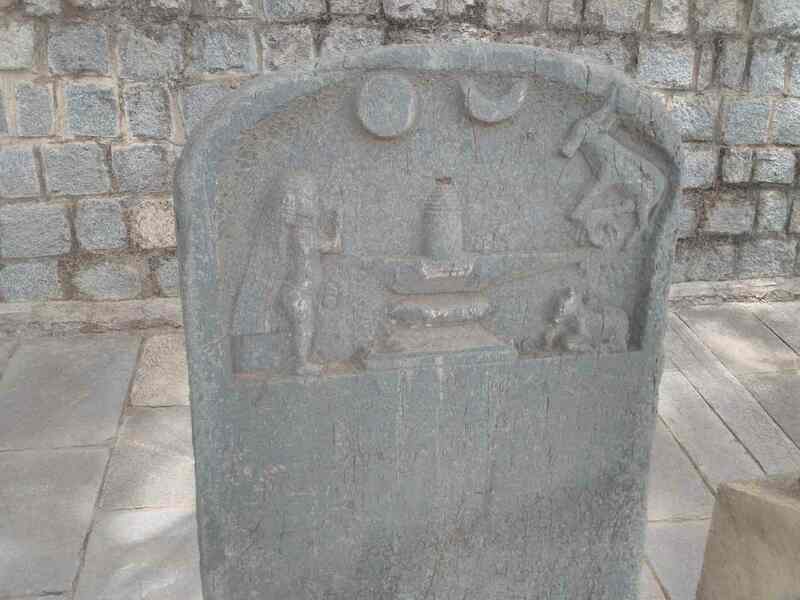 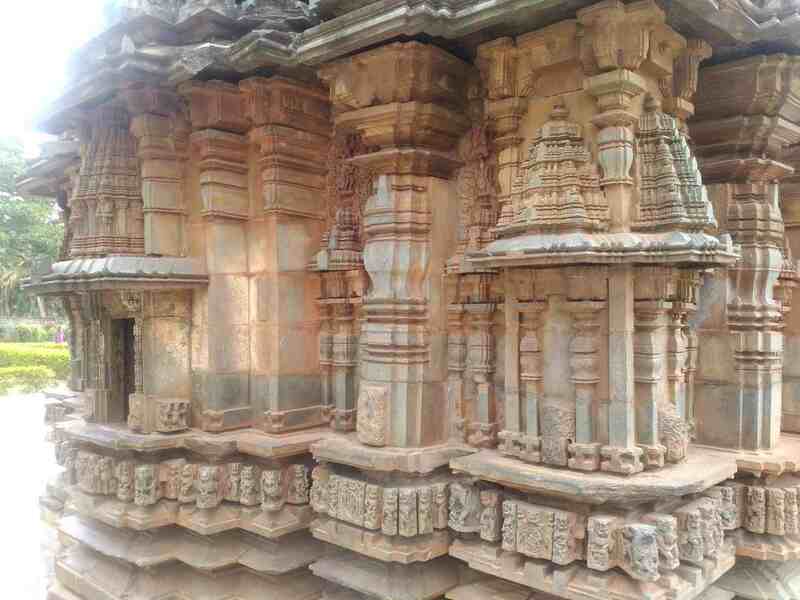 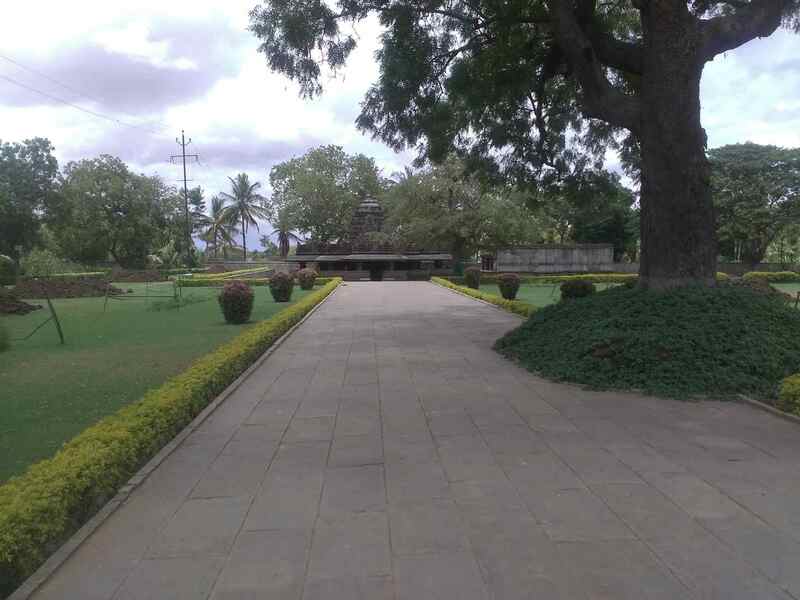 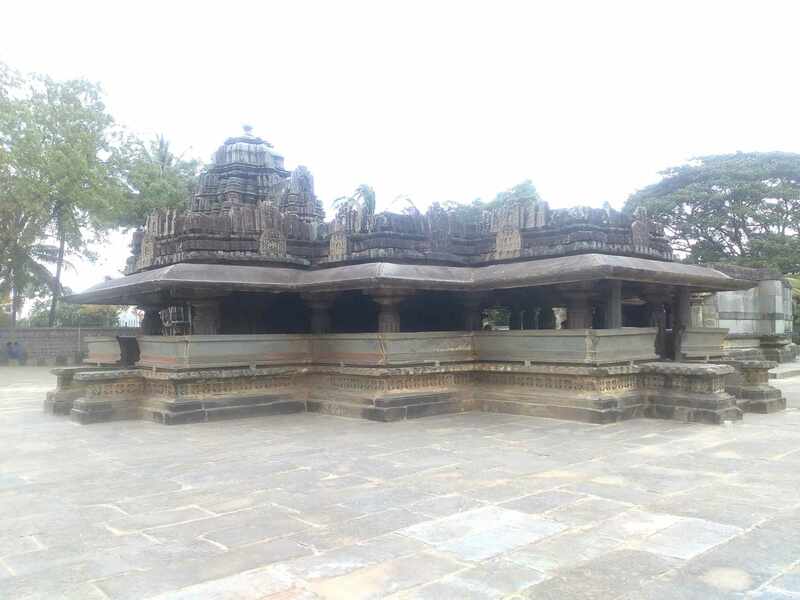 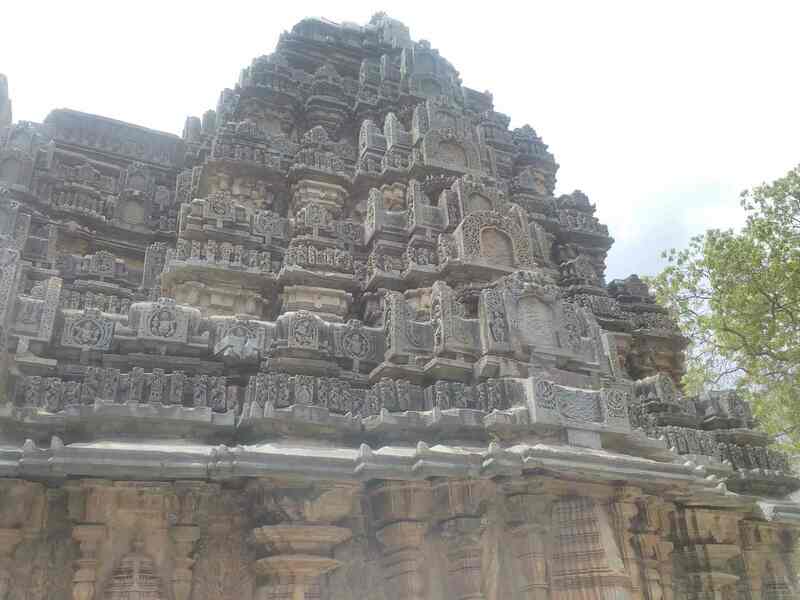 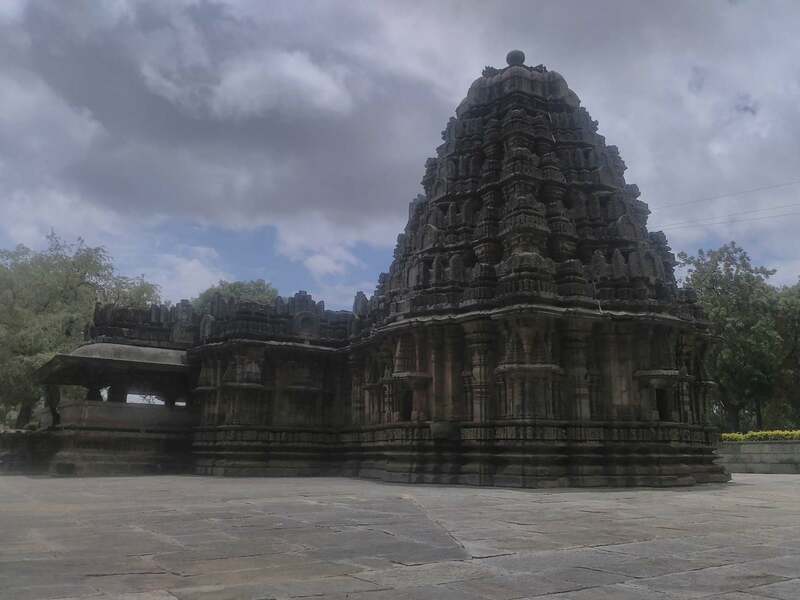 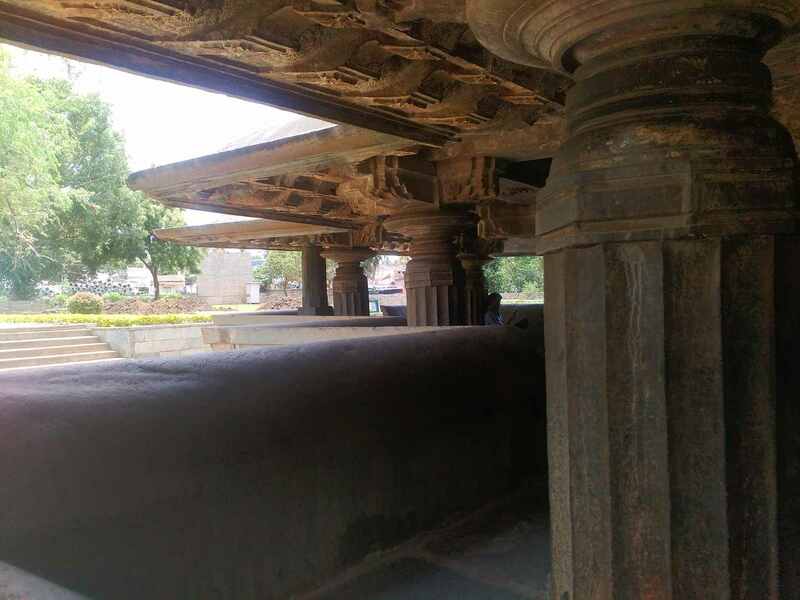 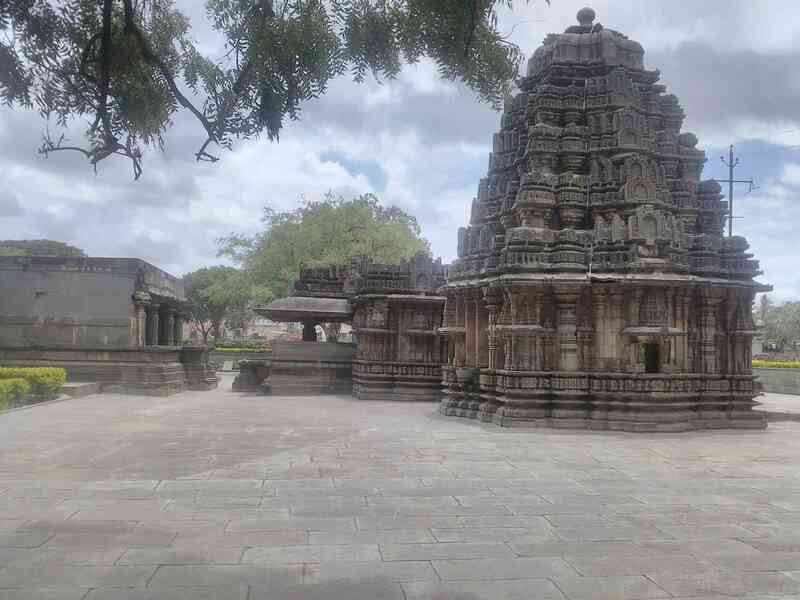 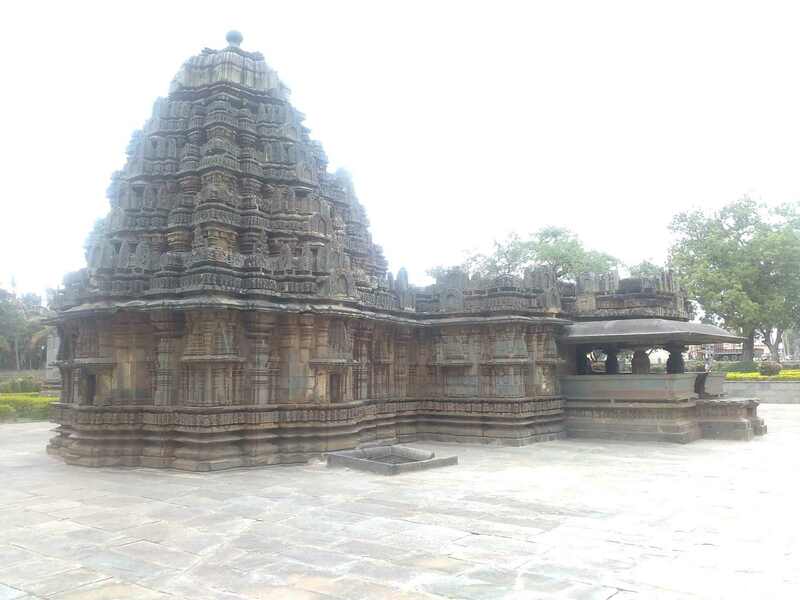 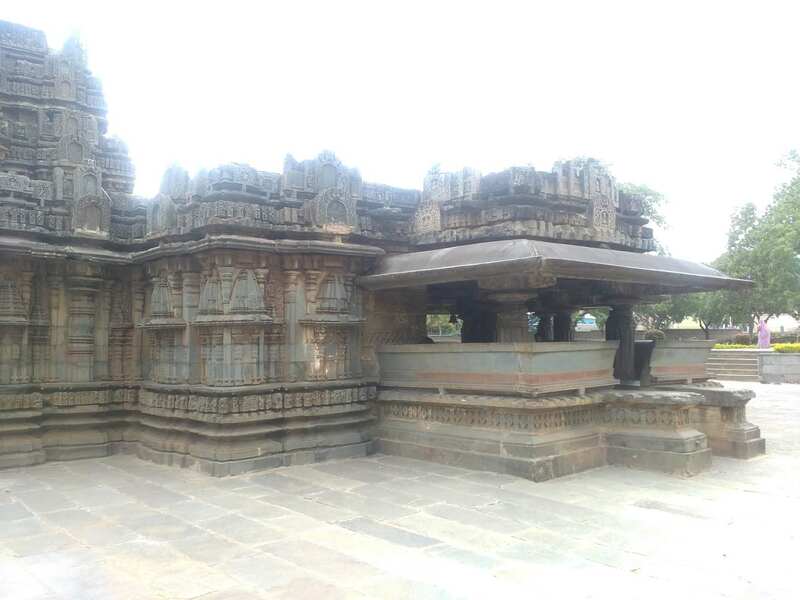 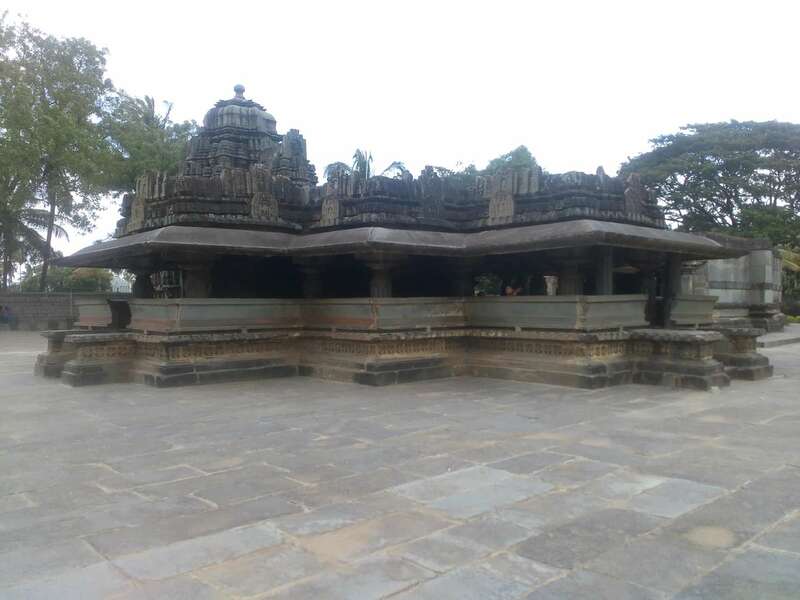 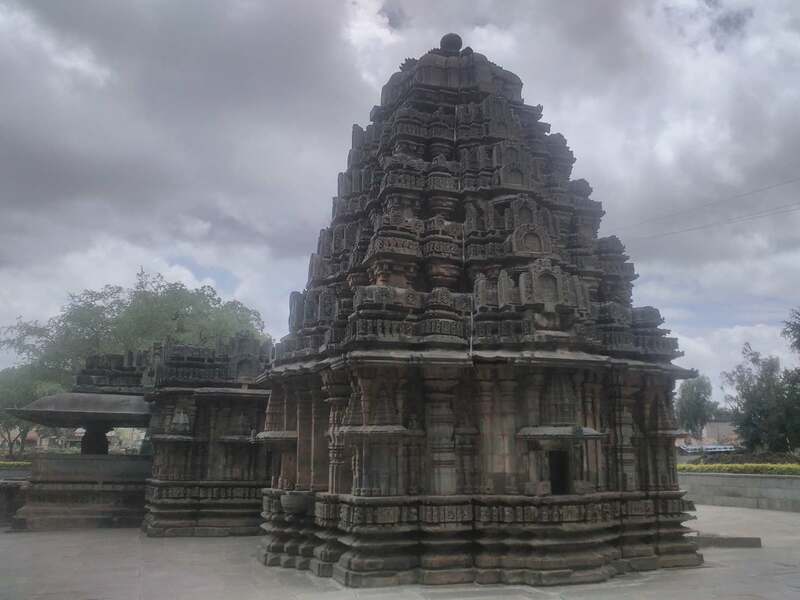 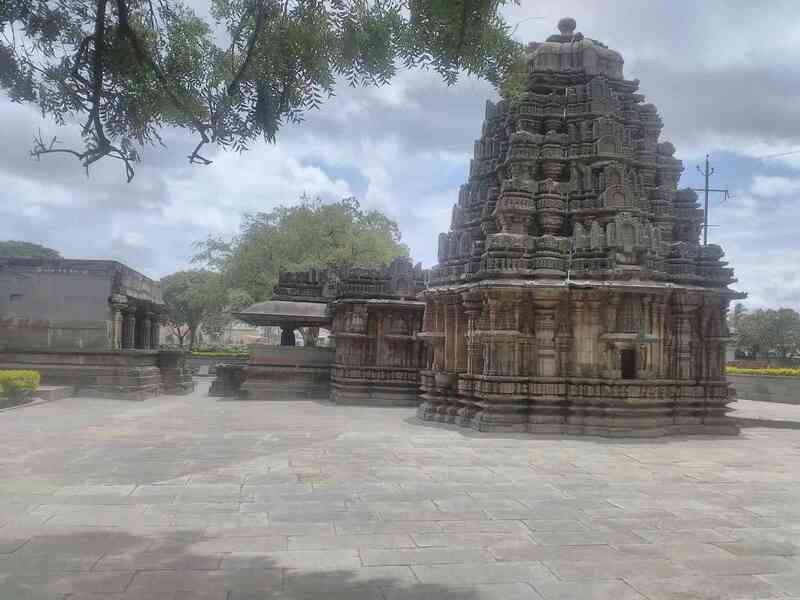 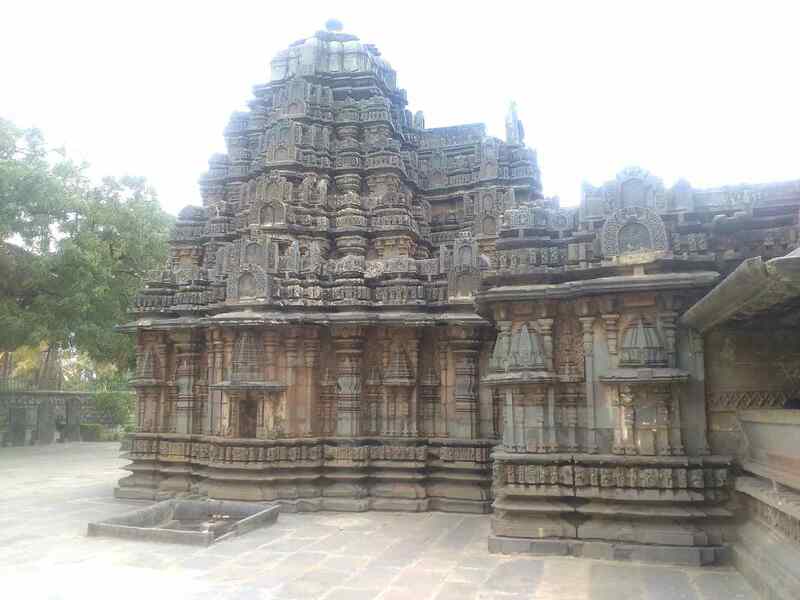 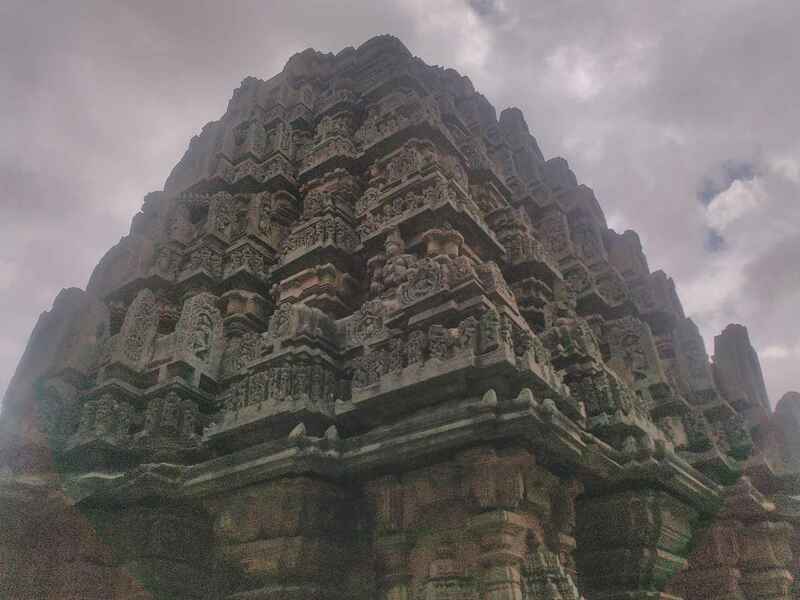 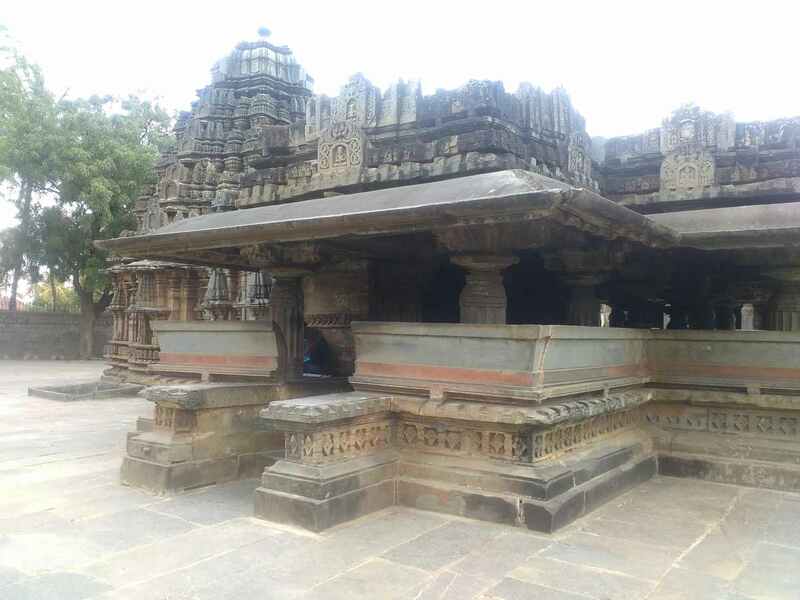 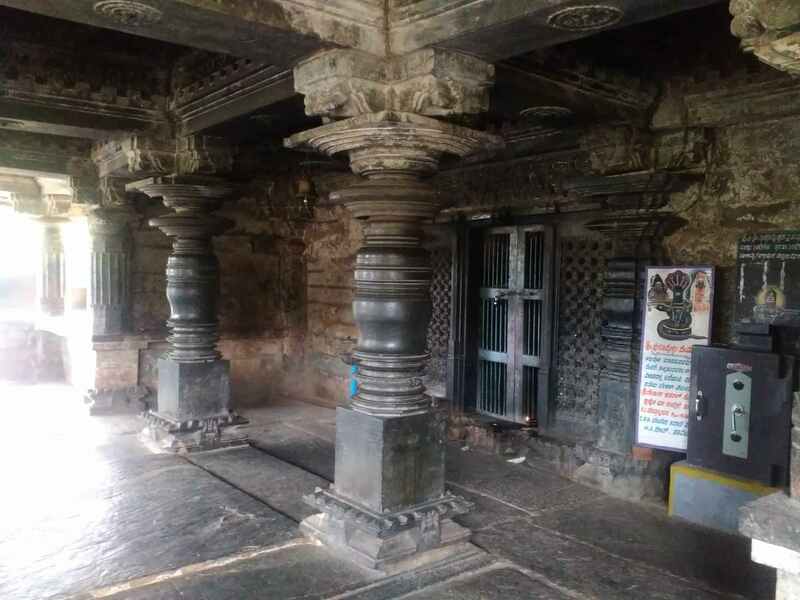 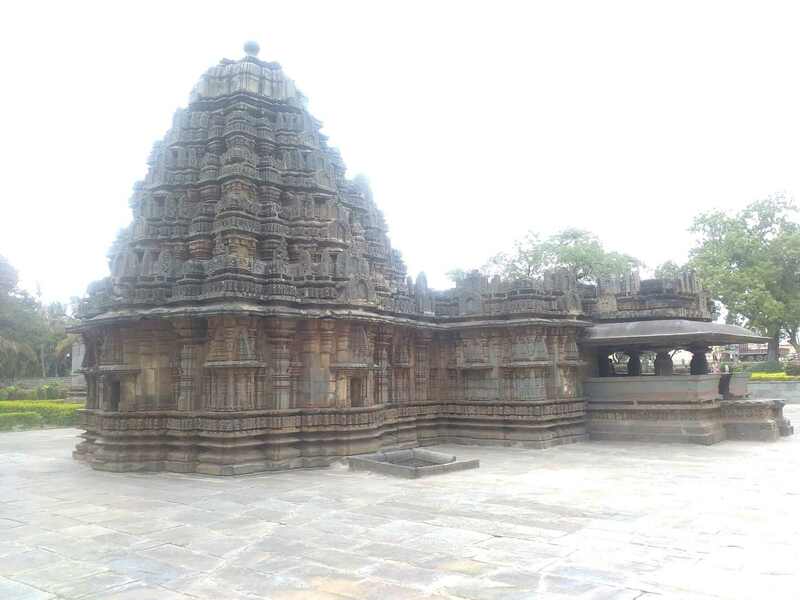 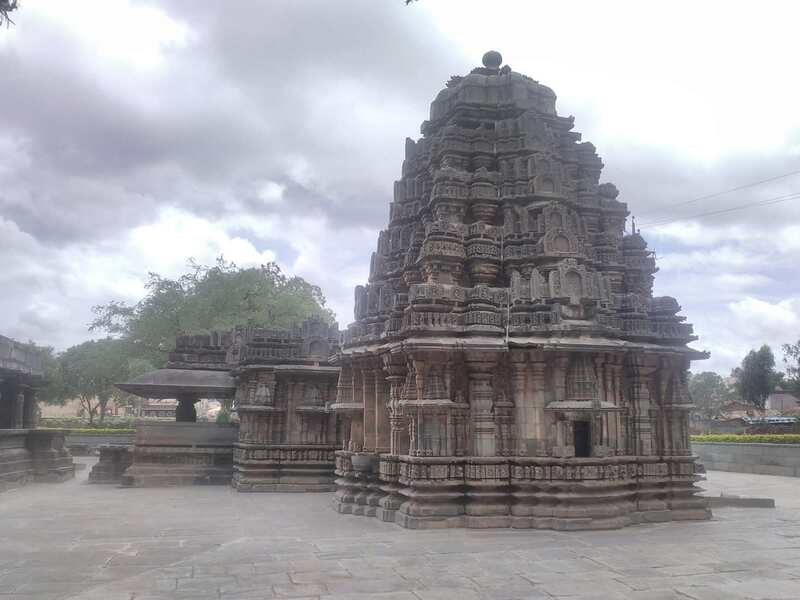 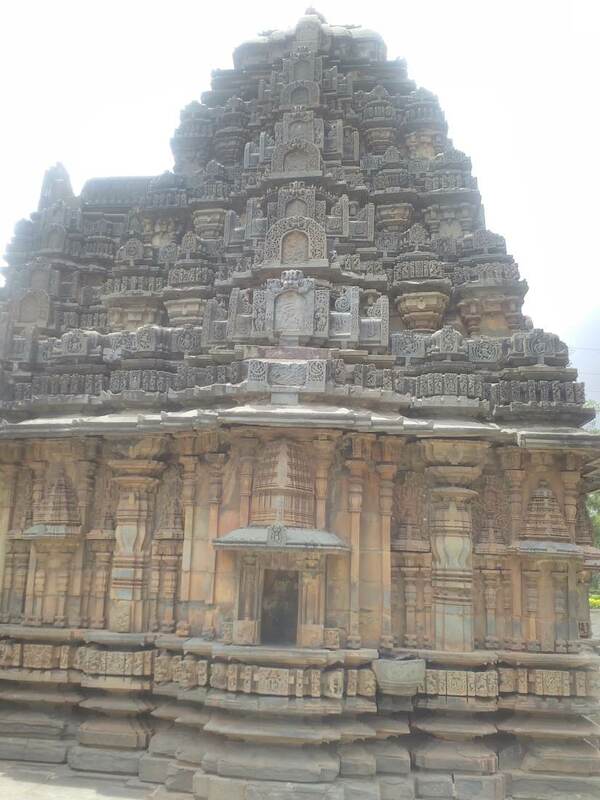 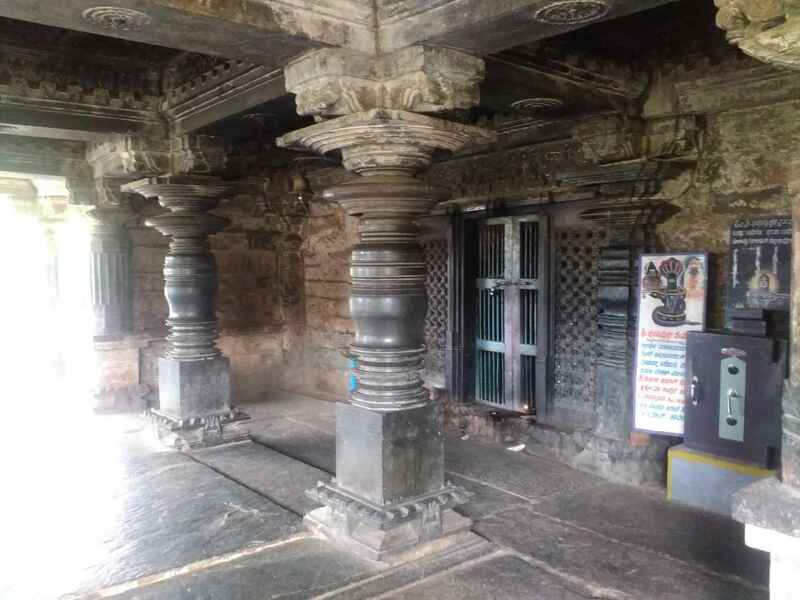 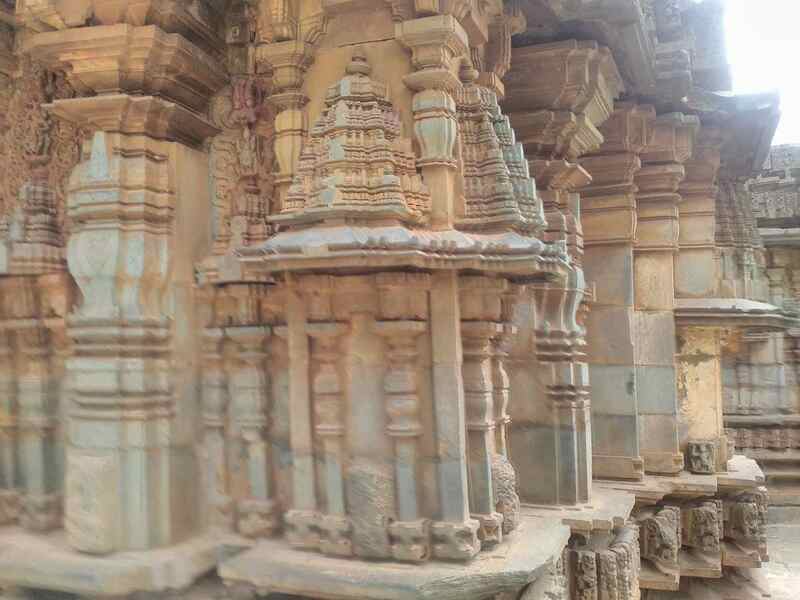 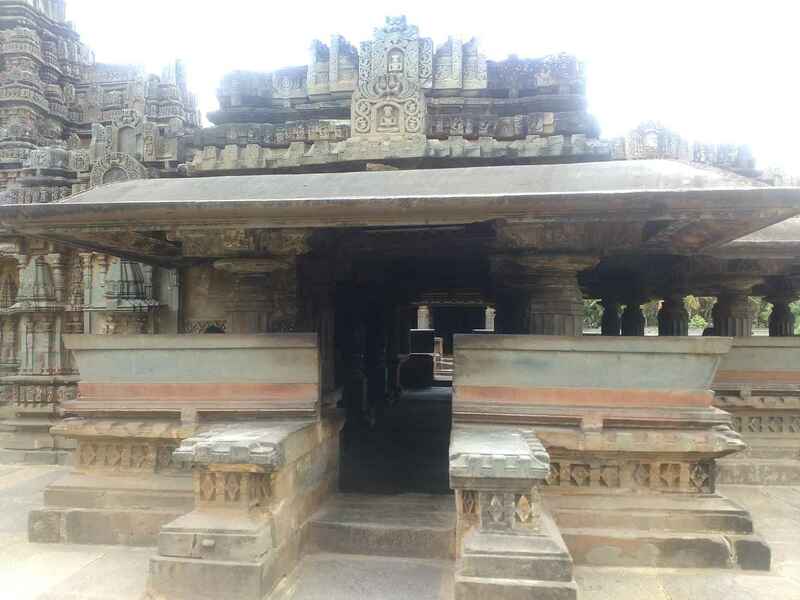 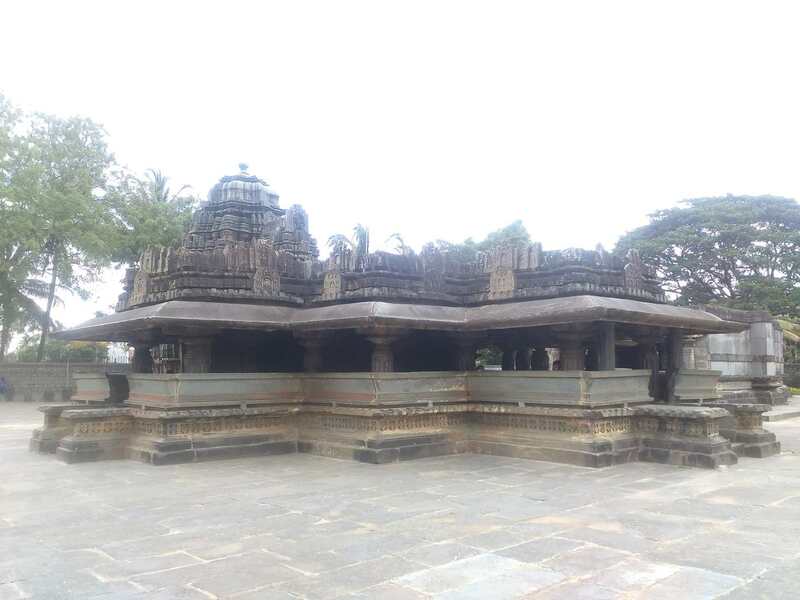 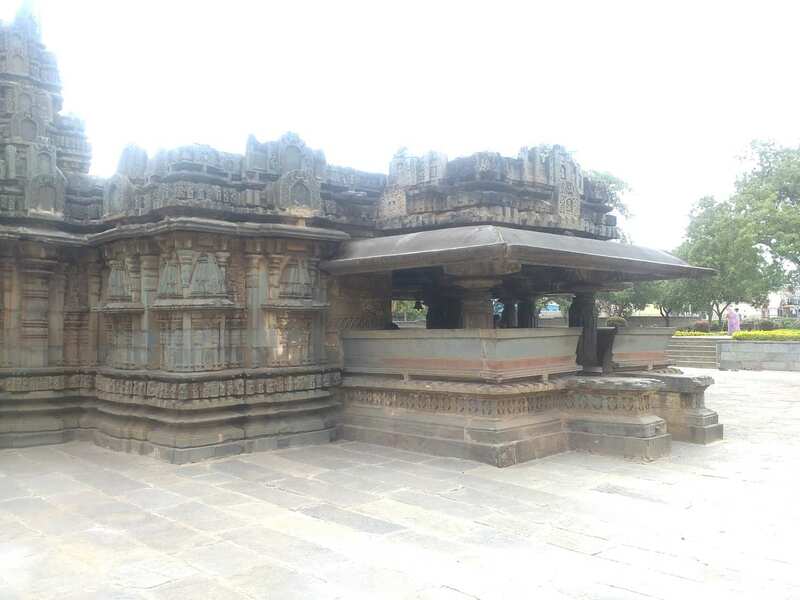 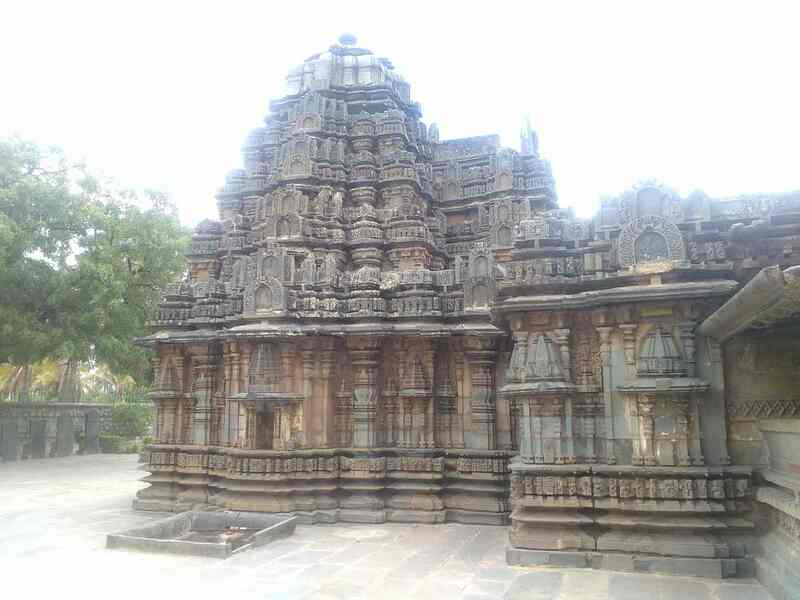 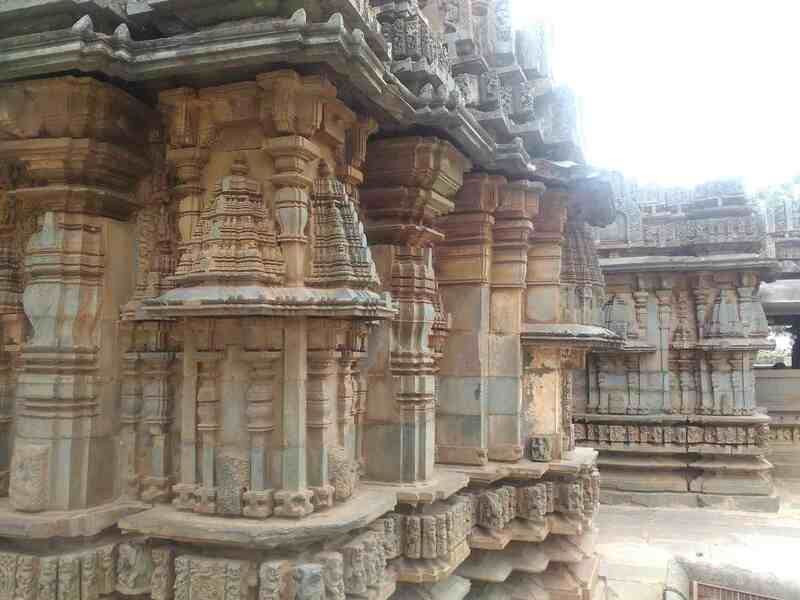 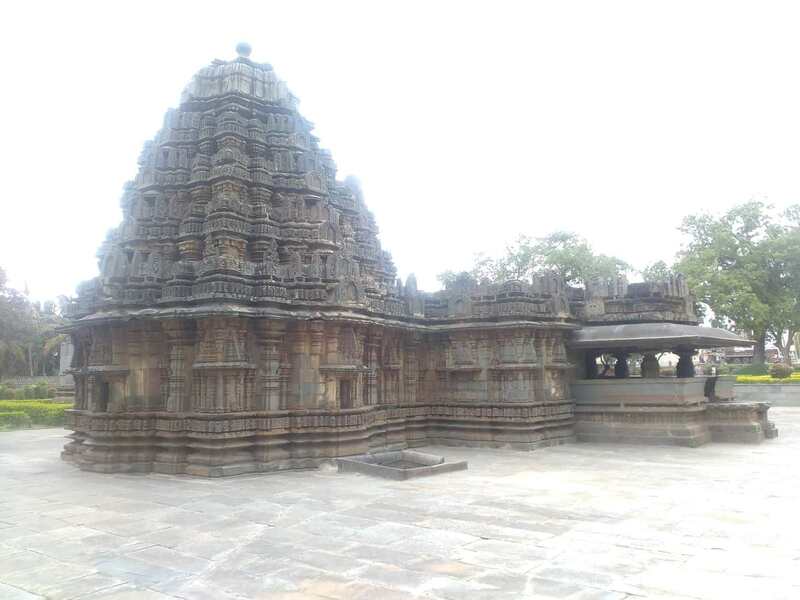 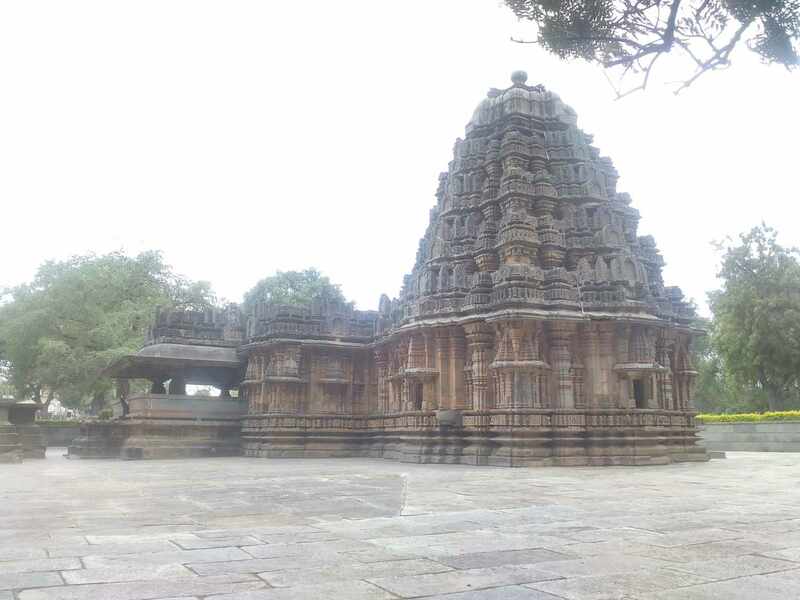 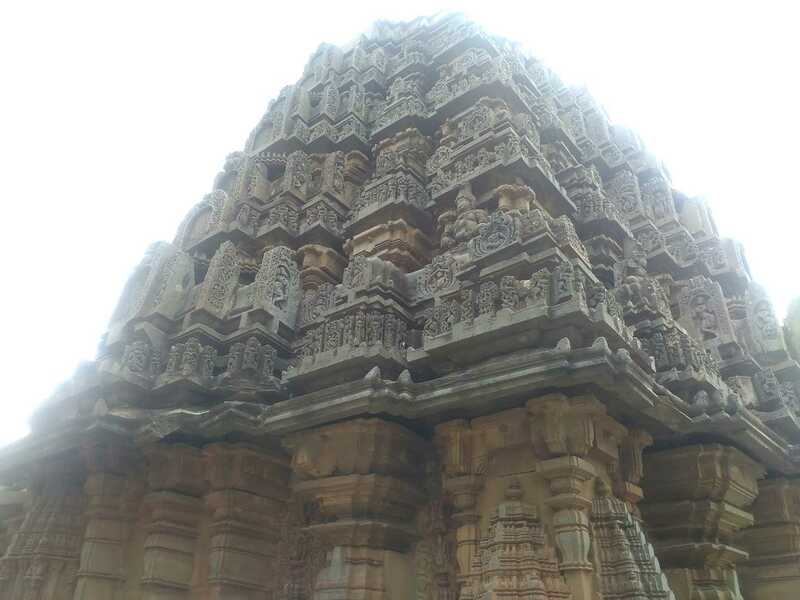 Within the temple premises are several old-Kannada inscriptions recording grants, the earliest of which is inscribed on a beam inside the temple and is dated to 1087 CE while another stone inscription (shilashasana) dated to 1108 CE stands outside.